Cristallight Software - Professional Mac Business Cards Maker, QR Code on business card available. The cards I printed using Home Business Card came out really nice! I've received many compliments about the design. Excellent price and great quality! Thanks a lot - I just printed my visiting card, they look amazing! I am so happy! First time in my life I printed business cards with QR Codes. It's nice to get this quality and creativity with a couple of clicks. The product is simply wonderful - I just loved it! Thanks so much for your prompt response and support. I really appreciate your efforts. Also, I liked the templates that were added recently. Excellent! Home Business Card - your business card designer. The Home Business Card is a mac business card software for creating and printing business cards using various built-in label formats, clipart images, and pre-made business card templates provided. Hundreds of templates, horizontal and vertical layouts are supplied with the product. 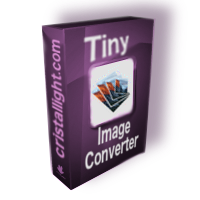 More then a thousand images for backgrounds and clipart in a variety of formats, including JPEG, TIFF, PDF, GIF, etc, are in the product image libraries. Fully functional and unlimited version. discount when purchasing multiple copies! Instant key delivering and unlocking. 58 MB of hard disk drive space. If you need the old version with MacOS 10.5 support, download Home Business Card version 1.4.0.